Elhady Orthodontics is now Trü Orthodontics. We love all of our patients and everything that makes them unique. We strive to exceed your expectations making for an exceptional experience in transforming your smile! We truly care about our patients' optimum health and quality of life. We provide the very latest technological advancements in orthodontics and we do so with excellence, compassion and care! Trü Orthodontics is to make you and your family smile. Building on our vision at Trü Orthodontics (pronounced True Orthodontics), we provide the latest technological advancements in orthodontics with amazing customer service and a big heart! We strive to exceed your expectations every day, making for an exceptional experience in transforming your smile! With our Smile Satisfaction Guarantee, we always guarantee your satisfaction with your treatment. Visit our Burke or Fairfax orthodontic office for your free, no-obligation consultation. From the moment you walk through our doors, our commitment is to ‘wow’ you and give you the healthiest smile ever! "Making people smile is the best profession in the world." Let us help you find your trü smile today! Even at a young age, the identifiable factors that lead to future orthodontic problems in kids can be proactively addressed, maximizing the opportunity to avoid issues later in life by acting now. Two-phase orthodontic treatment is a specialized process that encompasses both tooth straightening and physical, facial changes in young patients. Dentofacial orthopedics is a dental specialty that is concerned with facial development and bone growth that impacts the shape and alignment of the teeth and jaws. Depending on the alignment of your jaw, orthognathic surgery is sometimes necessary to move the teeth and jaws into positions that are more balanced, functional, and healthy. Invisalign aligners are designed to be invisible and use a series of removable and comfortable aligners for your orthodontic treatment. Invisalign teen aligners offer you a whole new way to wear braces, without having to sacrifice aesthetics or your favorite foods and activities! PROPEL technology, which stimulates bone remodeling to allow teeth to move faster and more predictably into place, can improve your treatment time by 50%! AcceleDent Aura is a new and simple hands-free device to help your orthodontic treatment work faster by speeding up tooth movement. Looking for braces without huge metal brackets and wires on your teeth? In-Ovation braces are a low profile treatment option that’s easier and less demanding of your time. 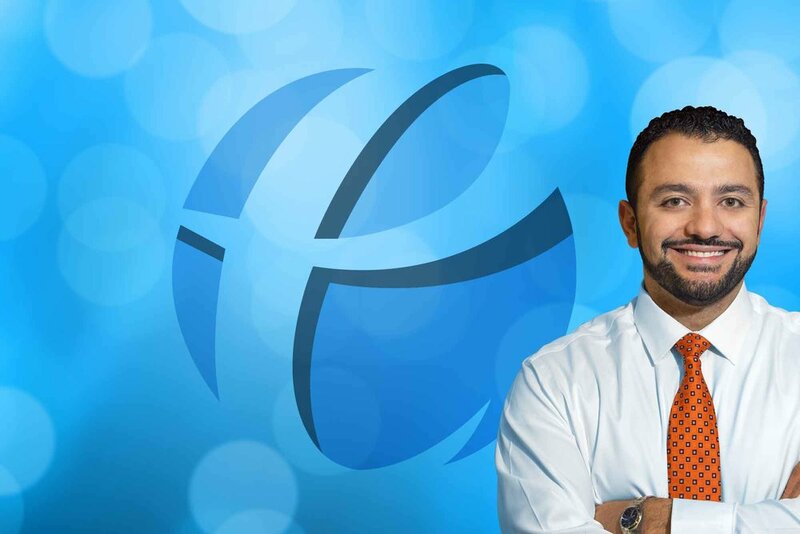 We love Dr. Elhady and his entire office! Everyone goes out of their way to make the patient (and parents!) comfortable with the entire process. My daughter went in with teeth in desperate need of attention and came out with a beautiful smile! You won’t be disappointed here! Thank you! Due to military-related moves, our daughters have been treated by three different orthodontists. Dr. Elhady and his staff are by far the BEST ones!!! Professional, kind, flexible, timely and, most importantly, great orthodontic care!!! Thank you Dr. Elhady for taking such good care of our girls – we’re glad their smiles are complete and we don’t have to find another orthodontist when we move again next month!!! Love Dr. Elhady and staff! The office is very professional, yet warm and friendly. They always make my daughter feel very comfortable and are always very willing to answer all my questions or concerns. We visited a few different Orthodontists before deciding to go with Dr Elhady. He spent the most time with us up front, explaining the treatment plan, our options and even teaching us the “whys”. We are very pleased. Dr. Elhady and his staff are friendly, professional and always make me feel at ease. As an adult patient, I was a bit hesitant to have my teeth straightened. I never felt out of place, and my invisalign has made me very happy with my smile. Thank you, Dr. Elhady. Our many payment options make treatments trüly affordable.